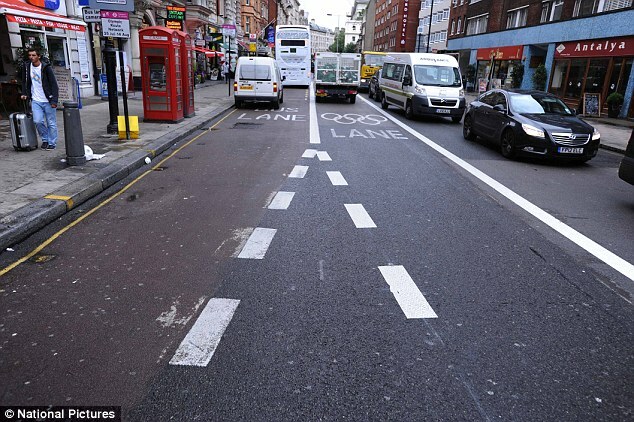 As this picture shows, motorists travelling along Southampton Row face three options - and all are illegal. They can either travel in the bus lane, the Olympic lane or on the wrong side of the road. Obviously no driver would want to travel on the wrong side of the road. But motorists caught travelling in either a bus lane or Olympic lane during operational hours face a £130 fine.